For many years the President and his Administration have not only warned of the systemic consequences of financial turmoil at a housing government-sponsored enterprise (GSE) but also put forward thoughtful plans to reduce the risk that either Fannie Mae or Freddie Mac would encounter such difficulties. President Bush publicly called for GSE reform 17 times in 2008 alone before Congress acted. Unfortunately, these warnings went unheeded, as the President's repeated attempts to reform the supervision of these entities were thwarted by the legislative maneuvering of those who emphatically denied there were problems. The White House released this list of attempts by President Bush to reform Freddie Mae and Freddie Mac since he took office in 2001. September: RealtyTrac announces foreclosure filings up 243,000 in August - up 115 percent from the year before. September: Single-family existing home sales decreases 7.5 percent from the previous month - the lowest level in nine years. Median sale price of existing homes fell six percent from the year before. In 2005-- Senator John McCain partnered with three other Senate Republicans to reform the government's involvement in lending. Democrats blocked this reform, too. More... Not only did democrats not act on these warnings but Barack Obama put one of the major Sub-Prime Slime players on his campaign as finance chairperson. UPDATE: The media is not reporting that the failed financial institutions are big Obama donors. "THE STENCH OF POLICE STATE TACTICS"
If Barack Obama becomes President and takes over command of the Justice Department, it is reasonable to expect an assault on the First Amendment the like of which we haven't seen since the Jefferson administration. Here's the latest: in Missouri, Obama has enlisted his allies in public office, including St. Louis County Circuit Attorney Bob McCulloch, to threaten criminal prosecution of any Missouri television station that runs ads about Obama that are untrue. Since every politician sincerely believes that all ads run by his opponents are untrue, the field of potential criminal exposure is broad indeed. BILL CLINTON BLAMES DEMS FOR FINANCIAL COLLAPSE! What’s behind Obama’s early rise? New evidence strongly suggests that Barack Obama has been less than forthcoming about the role that unrepentant Weather Underground terrorist Bill Ayers may have played in choosing him to lead the Chicago Annenberg Challenge (CAC). Has Capitalism Failed, or Has Government Failed? Larry Elder makes an excellent case that it is government that has failed. Read Larry Elder's article here! We have not had more than normal bank failures. Government has not done its job to enforce the current regulations. The promotion by Congress, going back to 1977, to force unsecured issuance of mortgages, just so the "poor" can have a home. Then you have the massive fraud by Fannie Mae and Freddie Mac under the leadership of people now advising Obama. Many cities and States passed laws mandating a certain number of low interest "affordable" housing units. These added cost to those who bought at market price. No, the current crisis is clearly caused by government intervention and lack of enforcement of laws. Capitalism works, if you let it. The State will fail, always. Read Larry Elder's article here! MSNBC’s Chris Matthews launched several vitriolic attacks on the Republican Party on his Sept. 17, 2008, show, suggesting blame for Wall Street problems should be focused in a partisan way. However, he and other media have failed to thoroughly examine the Democratic side of the blame game. Prominent Democrats ran Fannie Mae, the same government-sponsored enterprise (GSE) that donated campaign cash to top Democrats. And one of Fannie Mae’s main defenders in the House – Rep. Barney Frank, D-Mass., a recipient of more than $40,000 in campaign donations from Fannie since 1989 – was once romantically involved with a Fannie Mae executive. The media coverage of Frank’s coziness with Fannie Mae and his pro-Fannie Mae stances has been lacking. Of the eight appearances Frank made on the three broadcasts networks between Jan. 1, 2008, and Sept. 21, 2008, none of his comments dealt with the potential conflicts of interest. Only six of the appearances dealt with the economy in general and two of those appearances, including an April 6, 2008 appearance on CBS’s “60 Minutes” were about his opposition to a manned mission to Mars. Frank has argued that family life “should be fair game for campaign discussion,” wrote the Associated Press on Sept. 2. The comment was in reference to GOP vice presidential nominee Sarah Palin and her pregnant daughter. “They’re the ones that made an issue of her family,” the Massachusetts Democrat said to the AP. Frank was and remains a stalwart defender of Fannie Mae, which is now under FBI investigation along with its sister organization Freddie Mac, American International Group Inc. (NYSE:AIG) and Lehman Brothers (NYSE:LEH) – all recently participants in government bailouts. But Frank has derailed efforts to regulate the institution, as well as denying it posed any financial risk. Frank’s office has been unresponsive to efforts by the Business & Media Institute to comment on these potential conflicts of interest. Hicks explained in his story how Moses orchestrated a collaborative effort between Fannie Mae and the Department of Agriculture. While Moses served at Fannie Mae and was Frank’s partner, Frank was actively working to support GSEs, according to several news outlets. In 1991, Frank and former Rep. Joe Kennedy, D-Mass., lobbied for Fannie to soften rules on multi-family home mortgages although those dwellings showed a default rate twice that of single-family homes, according to the Nov. 22, 1991, Boston Globe. Moses left Fannie in 1998 to start his own pottery business. National Mortgage News called Moses a “mortgage guru” and said he developed “many of Fannie Mae's affordable housing and home improvement lending programs. Moses ended his relationship with Frank just months after he left Fannie. Even after the relationship ended, however, Frank was a staunch defender of Fannie Mae even as other experts suggested there were serious problems building in Fannie Mae and Freddie Mac. Just a month before, Frank had aggressively thwarted reform efforts by the Bush administration. He told The New York Times on Sept. 11, 2003, Fannie Mae and Freddie Mac’s problems were “exaggerated,” a gross miscalculation some five years later with costs estimated to be in the hundreds of billions. Frank has also reaped campaign contribution benefits from Fannie Mae and its counterpart Freddie Mac. According a front page story in the Sept. 19, 2008, Investor’s Business Daily by Terry Jones, Frank has received $40,100 in campaign cash over the past two decades from the GSEs. Frank is ranked 16th on a list that includes both houses of Congress and fifth among his colleagues in the House. According to data from the Center for Responsive Politics’ OpenSecrets.org, political action committees financed by both Freddie and Fannie have contributed $3,017,797 to members of Congress since 1989. And according to the July 16 issue of Politico, the two entities have spent a whopping $200 million to buy influence – including not only campaign donations to members of Congress, but also presidential campaigns and lobbying efforts. Frank was asked by CNN’s John Roberts on the Sept. 22, 2008 “American Morning” about this and his opposition to reform Fannie Mae and Freddie Mac. Originally, he claimed he didn’t think the two GSEs were facing any problems when the issue first surfaced in 2003. He instead blamed the Republican-controlled Congress for their ultimate fall, failing to mention his friendly relationship with Fannie Mae and the contributions it had made to his campaign over the years. However, on Sept. 17, 2008, former Bush administration Deputy Chief of Staff Karl Rove elaborated on the Bush administration’s efforts to curb abuses at the two GSEs in 2003. He told Fox News’ “Hannity & Colmes” that Frank was among the most aggressive opponents of White House attempts to reform Fannie Mae and Freddie Mac. Rove said the Bush administration’s efforts to reform Fannie and Freddie were opposed by congressional Democrats – specifically Frank and Senate Banking Committee Chairman Christopher Dodd, D-Conn.
Frank has been quick to blame deregulation for some of the problems in the financial environment, as he did on Bloomberg television’s Sept. 19 “Political Capital with Al Hunt.” However, as earmark crusader Rep. Jeff Flake, R-Ariz. pointed out – it’s not deregulation, but it was the structure of Fannie Mae and Freddie Mac that had been guarded by Frank and other members of Congress. Flake specifically named Frank as one of the members behind letting allegations of transgressions at the two GSEs for slipping by without oversight from Congress. Frank claims differently, according to a letter to the editor published in the Sept. 17, 2008 Wall Street Journal. Frank noted that in 2005 he supported regulating compensation for Fannie and Freddie executives. The red flags were raised long before the government bailed out the two GSEs in August 2008. The first egregious scandal involving Fannie Mae occurred in 2004. A 2004 Wall Street Journal editorial was first to point out claims in an OFHEO report that showed accounting malpractices by the GSE. DEMS GET PAYOFFS -- AND BLOCK REFORM OF FANNIE AND FREDDIE!!! The Democrats have been taking PAYOFFS from Fannie and Freddie and have looked the other way FOR DECADES! They've blocked reform several times. Now this NEW VIDEO of the CEO of Fannie Mae in 2005 shows him explaining the "FAMILY" connection with Democrats and specifically Barack Obama and the Congressional Black Caucus. It looks like Michelle Obama was at the event, too. This was before Barack Obama started collecting tens of thousands from the failed lender. Wouldn't you think that all the CEOs that made all these bad loans were Republicans? Obama claims they were. BTW, Rubin is now working for Obama! The Republicans are the smart guys, waiting to pick up Humpty Dumpty and profit from putting him back together again and buying the market when it bottoms. Sound familiar? This is just proof that fancy Ivy League schools have been breeding socialists and socialists are basically breaking the Ten Commandments by stealing that which isn’t theirs and buying patronage and Manhattan apartments with it. How the Clintons killed the release of "The Path to 9/11"
Seven years after 9/11 we live in a state where teaching "global warming" is part of the official curriculum, but the events of 9/11 are not. It is now an anomaly to meet a youngster who has yet to reach their teen years who has any memory or even rudimentary knowledge of 9/11. If those who do not know their history truly are doomed to repeat it, we are well on our way to disgracing the memories of those who died on 9/11and setting ourselves up for making the same mistakes again. The continuing censorship of "The Path to 9/11″ is both emblematic and symptomatic of that sad truth. So Barack Obama and Joe Biden voted twice against funding to rebuild after Katrina, but didn’t vote to stop funding TWO Bridge to Nowhere projects? And Obama/Biden call Palin a hypocrite? Let me clarify something. Nobody is mocking community organizers in church basements and community centers across the country working to improve their neighbors' lives. What deserves ridicule is the notion that Obama's brief stint as a South Side rabble-rouser for tax-subsidized, partisan nonprofits qualifies as executive experience you can believe in. As I've reported previously, Obama's community organizing days involved training grievance-mongers from the far-left ACORN (Association of Community Organizations for Reform Now). The ACORN mob is infamous for its bully tactics (which they dub "direct actions"); Obama supporters have recounted his role in organizing an ambush on a government planning meeting about a landfill project opposed by Chicago's minority lobbies. Last week, Milwaukee's top election official announced plans to seek criminal investigations of 37 ACORN employees accused of offering gifts to sign up voters (including prepaid gas cards and restaurant cards) or falsifying driver's license numbers, Social Security numbers or other information on voter registration cards. Last month, a New Mexico TV station reported on the child rapists, drug offenders and forgery convicts on ACORN's payroll. In July, Pennsylvania investigators asked the public for help in locating a fugitive named Luis R. Torres-Serrano, who is accused "of submitting more than 100 fraudulent voter registration forms he collected on behalf of the Association of Community Organizations for Reform Now to county election officials." Also in July, a massive, nearly $1 million embezzlement scheme by top ACORN officials was exposed. Jim Terry, an official from the Consumer Rights League, a watchdog group that monitors ACORN, noted: "ACORN has a long and sordid history of employing convoluted Enron-style accounting to illegally use taxpayer funds for their own political gain. Now it looks like ACORN is using the same type of convoluted accounting scheme for Obama's political gain." With a wave of his magic wand, Obama amended his FEC forms to change the "advance work" to "get-out-the-vote" work. He was just "organizing" his "community." Guffaw. What is a "Community Organizer?" Even as Barack Obama gave his soaring speech Thursday night, his campaign was playing hardball with its critics. Team Obama has launched an offensive against WGN, the Chicago Tribune's radio station, for interviewing Stanley Kurtz. Mr. Kurtz is a conservative writer who this week forced the University of Illinois to finally open its records on Sen. Obama's association with William Ayers, the unrepentant 1970s Weather Underground terrorist. An Obama campaign email to supporters called Mr. Kurtz a "slimy character assassin" whose "divisive, destructive ranting" should be confronted. WGN producer Zack Christenson says the outpouring of negative calls and emails is "unprecedented." He also notes that it is curious -- because "we wanted the Obama campaign's take" on Mr. Kurtz's findings, but the campaign declined to put anyone on air. Separately, Mr. Obama's lawyers have also demanded that the Justice Department prosecute an organization called the American Issues Project for running an ad about ties between their candidate and Mr. Ayers. Obama aides believe John Kerry lost in 2004 because he failed to respond to the "Swift Boat" ads attacking him, and they are lashing out. Sometimes the Obama objections have merit, as when they exposed errors in Jerome Corsi's sensationalized Obama biography. But sometimes they are designed to shut down legitimate questions. "They're terrified of people poking around Obama's life," one reporter told Gabriel Sherman at the New Republic. "The whole Obama narrative is built around the narrative that Obama and [campaign strategist] David Axelrod built, and, like all stories, it's not entirely true." The stakes are high. 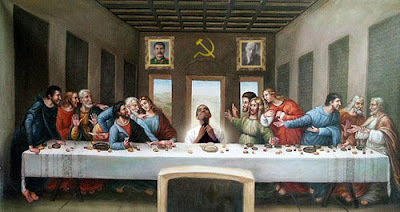 If the full story of Mr. Obama's relationship with Rev. Jeremiah Wright had been revealed before the Iowa caucus, he wouldn't have won. Aides claim Mr. Obama "has taken voluntary transparency steps" that allow "his constituents, the media and his political opponents to fully examine him." In reality, anyone questioning the approved story line is liable to be ignored, misled or even bullied. This isn't what reporters expected when Mr. Obama began campaigning for a "new politics" that would bring honesty and openness to government. Walking the rows of media outlets at the Denver convention, I had no trouble finding reporters who complained the campaign was secretive and evasive. Ben Smith of Politico.com has written about Team Obama's "pattern of rarely volunteering information or documents, even when relatively innocuous." Politico asked months ago if Mr. Obama had ever written anything for the Harvard Law Review as a student. The Obama campaign responded narrowly, with a Clintonesque statement that "as the president of the Law Review, Obama didn't write articles, he edited and reviewed them." This month it turned out Mr. Obama had written an article -- but it was published a month before he became president. Chasing the rest of Mr. Obama's paper trail is often an exercise in frustration. Mr. Obama says his state senate records "could have been thrown out" and he didn't keep a schedule in office. No one appears to have kept a copy of his application for the Illinois Bar. 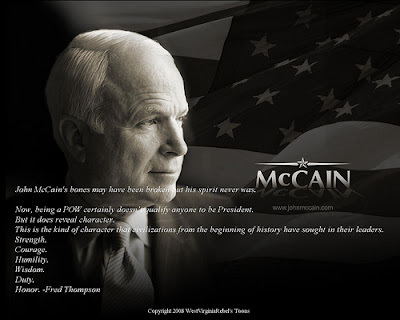 He has released only a single page of medical records, versus 1,000 pages for John McCain. Rezko's trial raised a host of questions. Was Mr. Obama able to save $300,000 on the asking price of his house because Rezko's wife paid full price for the adjoining lot? How did Mrs. Rezko make a $125,000 down payment and obtain a $500,000 mortgage when financial records shown at the Rezko trial indicate she had a salary of only $37,000 and assets of $35,000? Records show her husband also had few assets at the time. Last April, the London Times revealed that Nadhmi Auchi, an Iraqi-born billionaire living in London, had loaned Mr. Rezko $3.5 million three weeks before the day the sale of the house and lot closed in June 2005. Mr. Auchi's office notes he was a business partner of Rezko but says he had "no involvement in or knowledge of" the property sale. But in April 2004 he did attend a dinner party in his honor at Rezko's Chicago home. Mr. Obama also attended, and according to one guest, toasted Mr. Auchi. Later that year, Mr. Auchi came under criminal investigation as part of a U.S. probe of the corrupt issuance of cell-phone licenses in Iraq. In May 2004, the Pentagon's inspector general's office cited "significant and credible evidence" of involvement by Mr. Auchi's companies in the Oil for Food scandal, and in illicit smuggling of weapons to Saddam Hussein's regime. Because of the criminal probe, Mr. Auchi's travel visa to the U.S. was revoked in August 2004, even as Mr. Auchi denied all the allegations. According to prosecutors, in November 2005 Rezko was able to get two government officials from Illinois to appeal to the State Department to get the visa restored. Asked if anyone in his office was involved in such an appeal, Mr. Obama told the Chicago Sun-Times last March, "not that I know of." FOIA requests to the State Department for any documents haven't been responded to for months. After long delays, Mr. Obama sat with the editorial boards of the Sun-Times and Chicago Tribune in March to answer their questions about his connection to Rezko. He had no recollection of ever meeting Mr. Auchi. He also said he didn't understand a lot about house buying, and gave vague answers to other questions. Since then, he has avoided any further discussion of the Rezko matter. Some inquiries could be cleared up if the Obama campaign were forthcoming with key documents. Mr. Obama claims that in buying his house in 2005 he got a low mortgage rate from Northern Trust bank because another bank made a competitive bid for his business, but his campaign won't reveal from which bank. While he has released 94 pages of documents relating to the Rezko sale, they don't include the single most important one -- the settlement statement that shows the complete flow of funds that were part of the house sale. When asked why that last key document isn't being released, the Obama campaign issued a boilerplate statement saying, "we have released documents that reflect every one of the final terms of the senator's purchase of the home." But key data are still being withheld. The Obama campaign didn't hesitate to criticize Hillary Clinton for not revealing the names of donors to the Clinton Library, or John McCain for releasing only two years of tax returns as opposed to Mr. Obama's 10 years. Those were proper questions. But so too are requests for information from Mr. Obama, a man whose sudden rise and incompletely reported past makes him among the least-vetted of presidential nominees. Reporters who decline to press Mr. Obama for more information now, whether it be on William Ayers or the Rezko-Auchi partnership, may be repeating an old mistake. Most reporters failed to dig deep enough into the Nixon White House's handling of Watergate before the 1972 election. The country was soon consumed with that scandal. Most reporters pooh-poohed questionable Whitewater real-estate dealings of the Clintons before Bill Clinton's 1992 election. Within months of his inauguration a tangled controversy led to the appointment of a special prosecutor and an endless source of distraction for the Clinton White House. All presidential candidates resist full examination of their records. But it should be the job of reporters not to accept noncooperation, stonewalling or intimidation when it comes to questions about fitness for the nation's highest office.